Six Little Indians Make a Set! 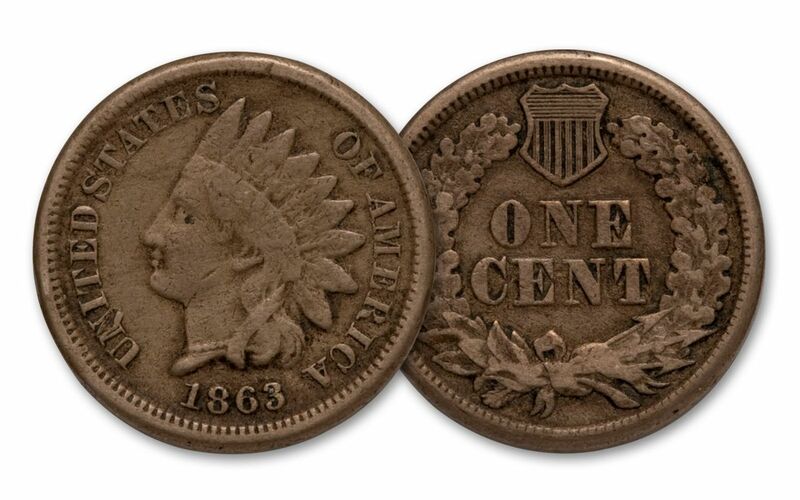 This collection of classic Indian Head Cents contains the first six Indians struck by the U.S. Mint. It features the 1859, a one-year-only type coin, plus coins from 1860, 61, 62, 63 and 1864. What’s unique about these first six Indians? They’re struck in an alloy of copper and nickel. 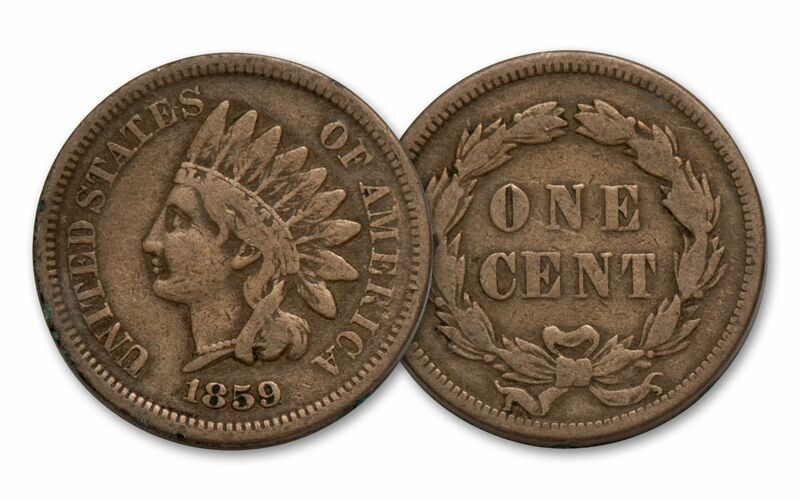 Halfway through 1864, the mint switched to the bronze alloy used for all Indians through 1909. 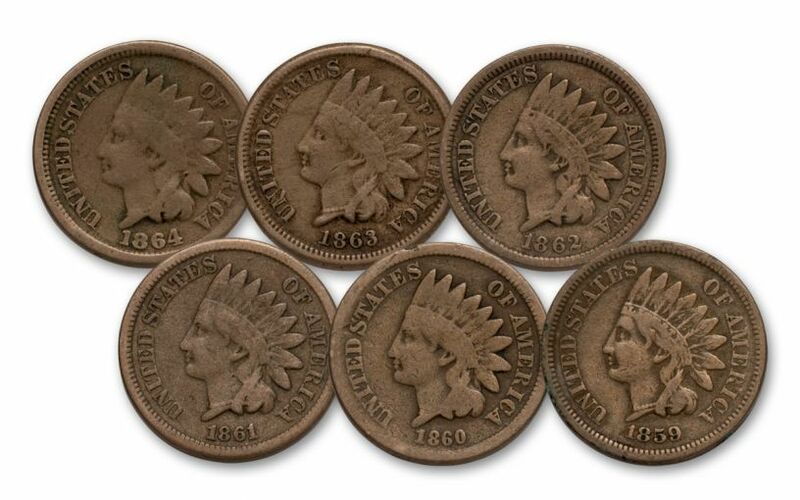 These first six Civil-War-era copper-nickel Indians are a set within a set. 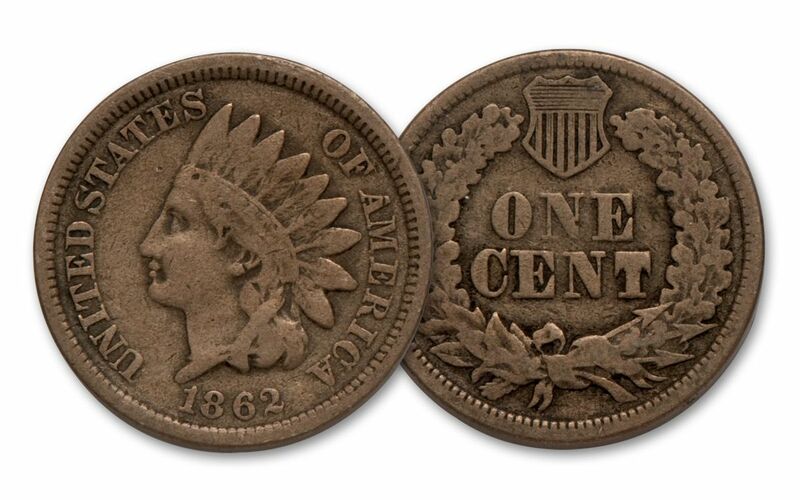 It’s been 150 years since they were last minted, and finding even one can be a chore, let alone all six. Here’s your chance to start or add to your Indian Cent collection with the tough first six coins! Each is in Good to Very Good condition. Comes in a deluxe presentation case.